Learn how to create fake 3D text effects in this beginner's tutorial. You will learn how to create cool Photoshop text effects using Photoshop layer styles. Photoshop styles work with any font and are the best option when creating Photoshop type effects. The fake 3D can be used with any layer style and will make Photoshop letters more prominent and cool. At the end of this tutorial, I will link to more tutorials for Photoshop text effects that can be combined with this one, so you will learn how to create cool text effects in Photoshop with styles and actions. The text effect you will learn today was inspired by Concrete and Rock Styles. Eight Photoshop styles that work with any font or shape. This pack is also available in Super Bundle Styles 2, which includes 66 text effects in total. * The items marked with an asterisk are inside the zip file attached to this tutorial, edited and ready for use in this tutorial. Download the zip file attached to this tutorial and extract it to any folder you want. Then open rockBackgroung.jpg with Photoshop. Now pick the Horizontal Type Tool (T) and set the text size to 190 pt and font to Titan One. Then write ROCK and place the text on the shelf. Now we are going to install the rock pattern. The original image is a little blurry, too big, and not seamless. So I edited it and fixed all that. The edited pattern is inside the zip file attached to this tutorial. To install it, go to Edit > Presets > Preset Manager and select Patterns for the Preset Type. Then click on Load and install the rockPattern-Tutorial file. After that, click on Save and name it Rock Contour. We are going to use that later. Now press OK on the Layer Style panel. Then select the text layer on the Layers panel and press Control-J to duplicate the layer. After that, right-click on the text copy and choose Clear layer style. This will add a highlight at the center of the text. It looks great and will make all the difference to the final text effect. Let's make the text a little darker while keeping the sharpness of the original texture. The Soft Light on the Blend mode is perfect for keeping the sharpness of the texture. After that, click OK to finish the text effect. Today, you learned how to create fake 3D text effects. We used a rock texture and two layer styles combined. These techniques are the basics if you want to start learning how to create your own Photoshop text effects. Don't forget to save the text effect, so you can use it later. Make sure to check the original Concrete and Rock Styles. Learn how to create Photoshop text effects in this beginner's tutorial. You'll be shown how to create a Photoshop action for your text effect and more. 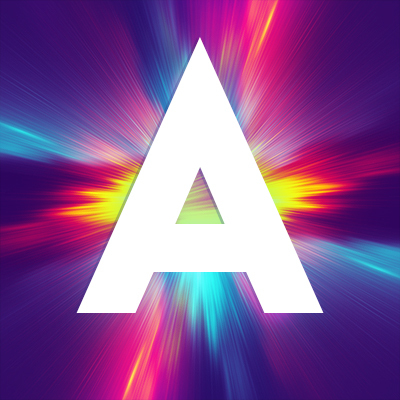 Learn how to create a cool neon flame text effect action in Adobe Photoshop that can be customized with any color. Learn how to create a realistic sketch text effect action in Photoshop that works with any font that you want. Learn how to create an ornate gold text effect from scratch in Adobe Photoshop CC, using two textures, layer styles, and some filters. In this tutorial I will show you how to make glossy text in Photoshop with two layer styles.